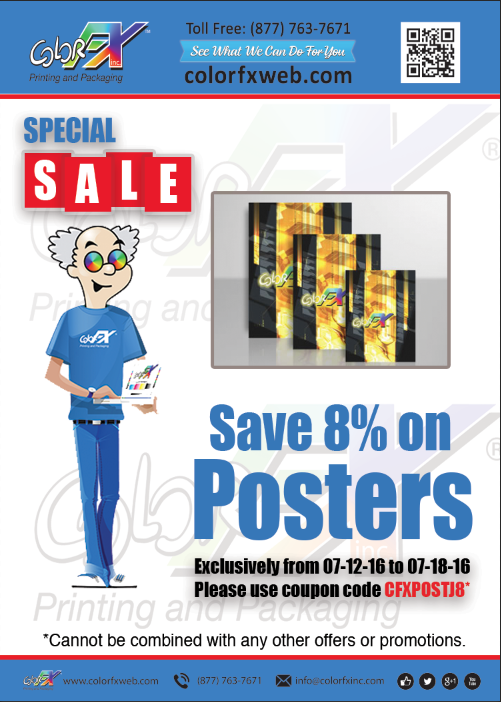 From small to half-size to full-size, we offer posters to fulfill every need. Choose between full bleed on 100# gloss book or cover stock, and select from AQ, dull, or UV coating options, available on 1 or 2 sides to suit your needs. 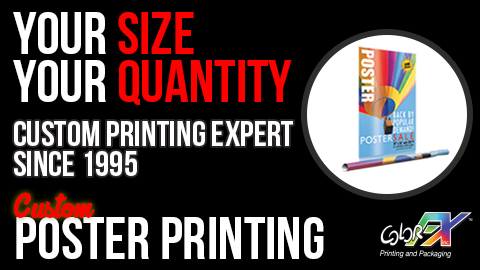 Our sizes range from 11”x17” all the way up to 27”x39”, and all posters are printed in-house using the most state-of-the-art equipment. If you need assistance with your poster designs, just click the “Templates” box and check out our range of template options, available in EPS, PDF, and JPG formats. If you need custom print work that isn’t outlined on this page, please get in touch with us and tell us about your needs. One of our helpful account representatives will gladly work with you to create a custom order that exceeds your customers’ expectations.